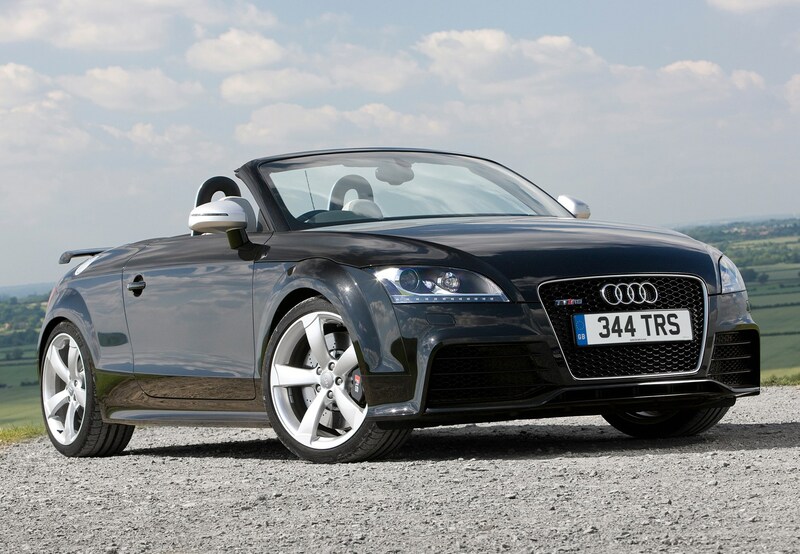 Insurance group: 40 - 41 How much is it to insure? 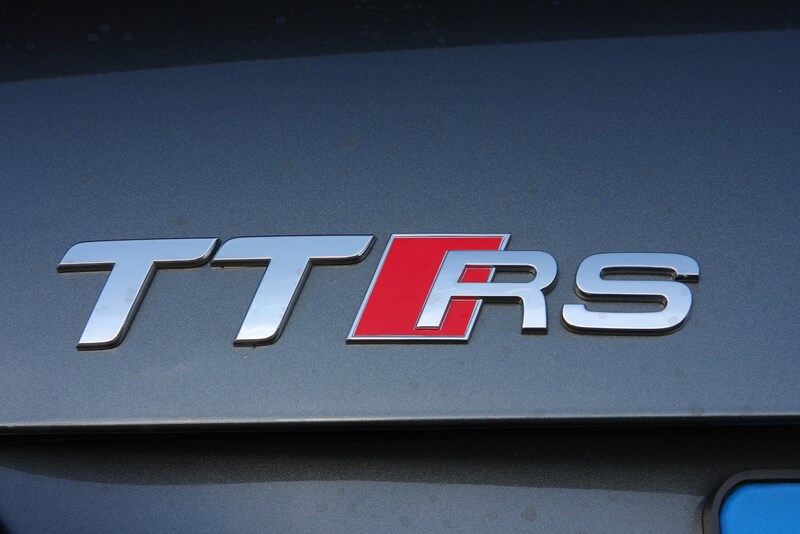 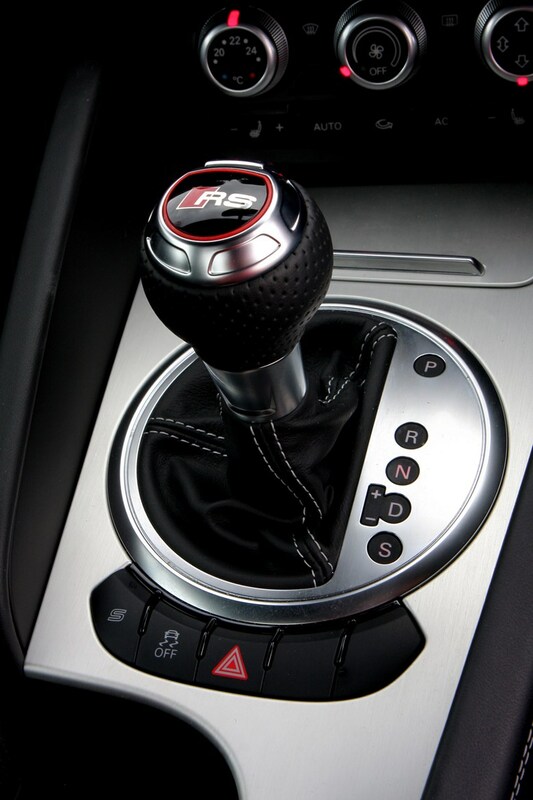 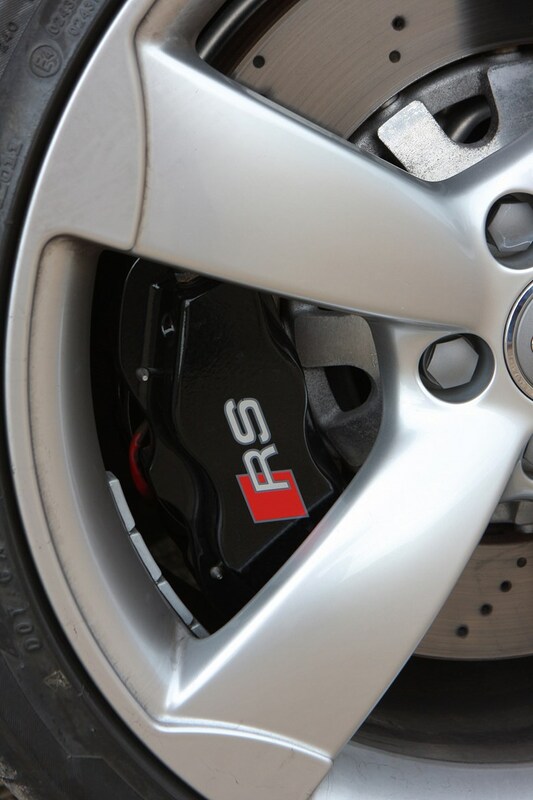 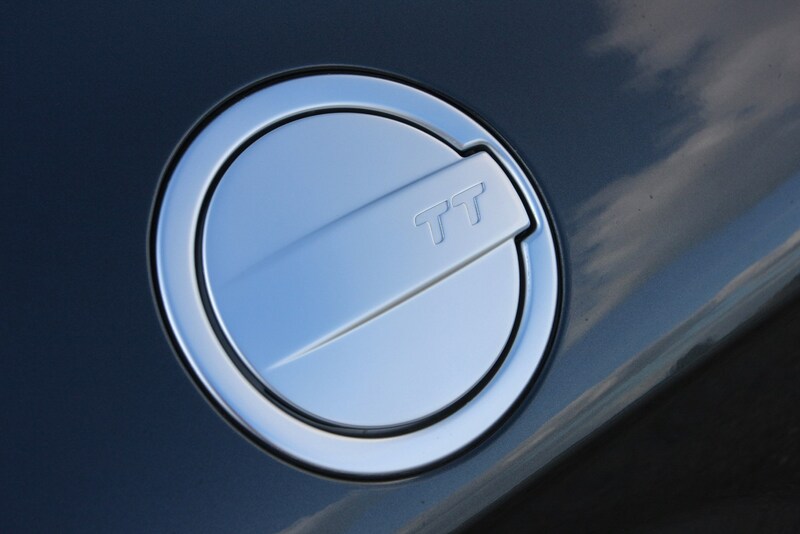 At the pinnacle of the TT range sits the high performance RS version, powered by a unique five-cylinder engine not found in any other Audi. 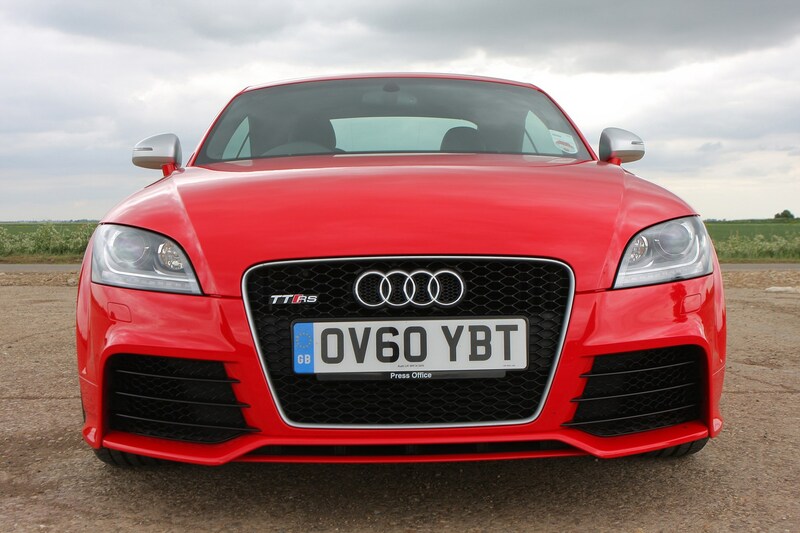 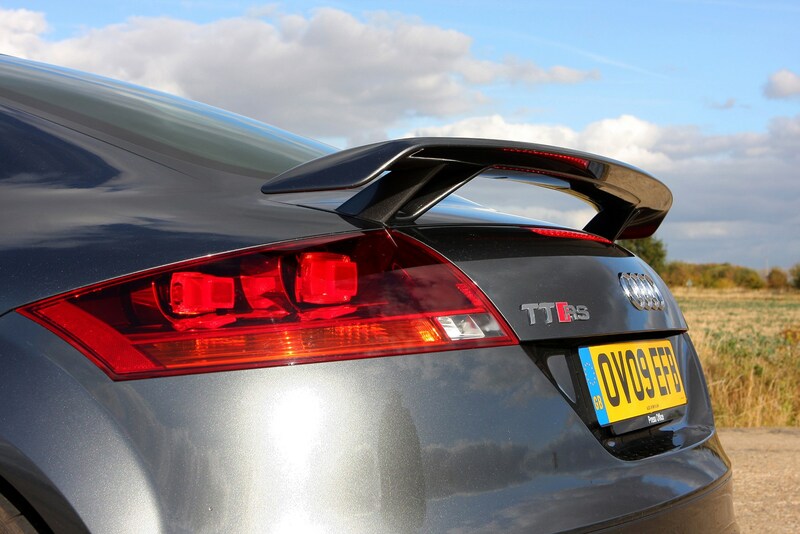 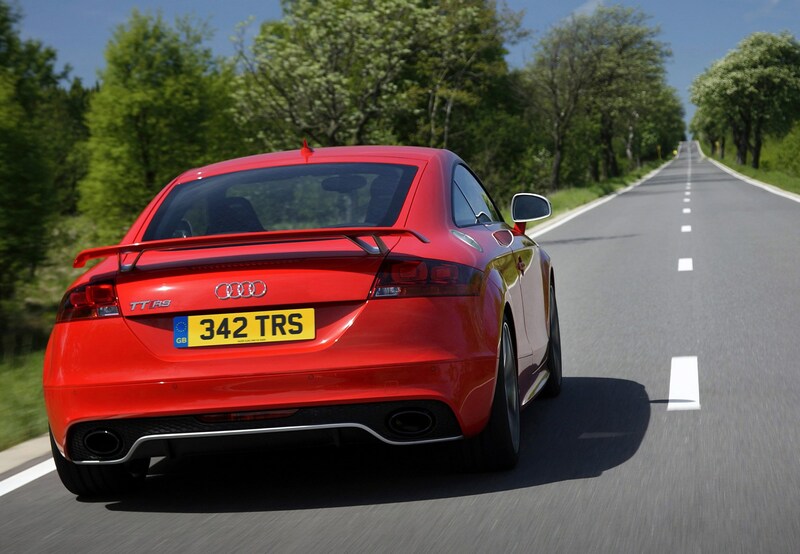 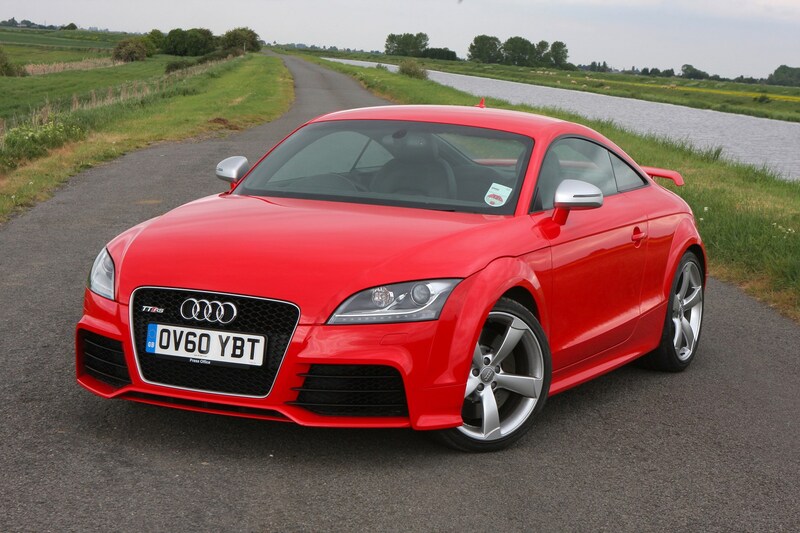 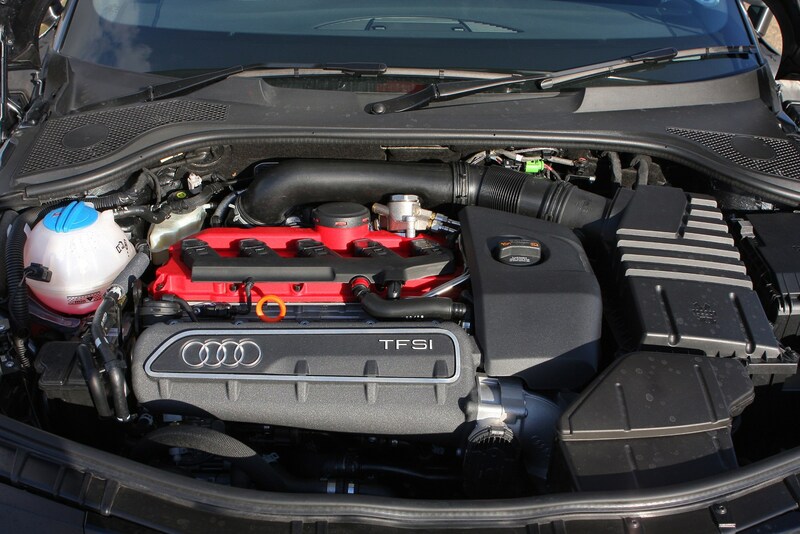 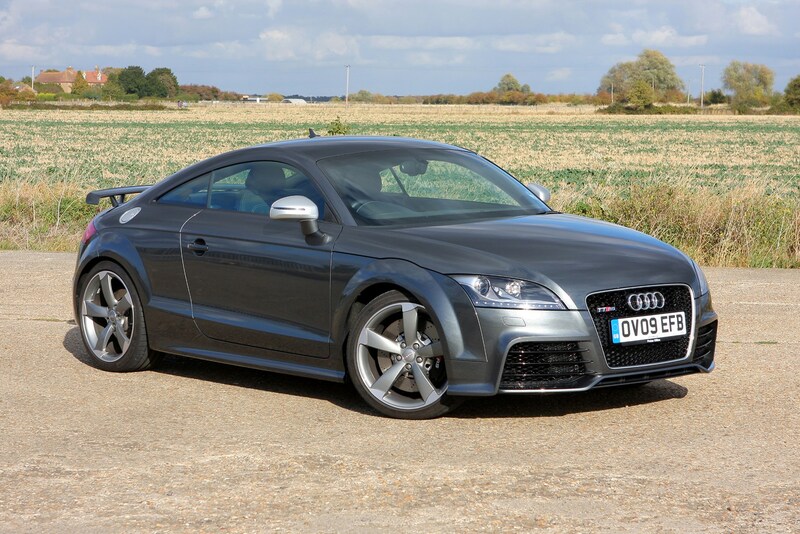 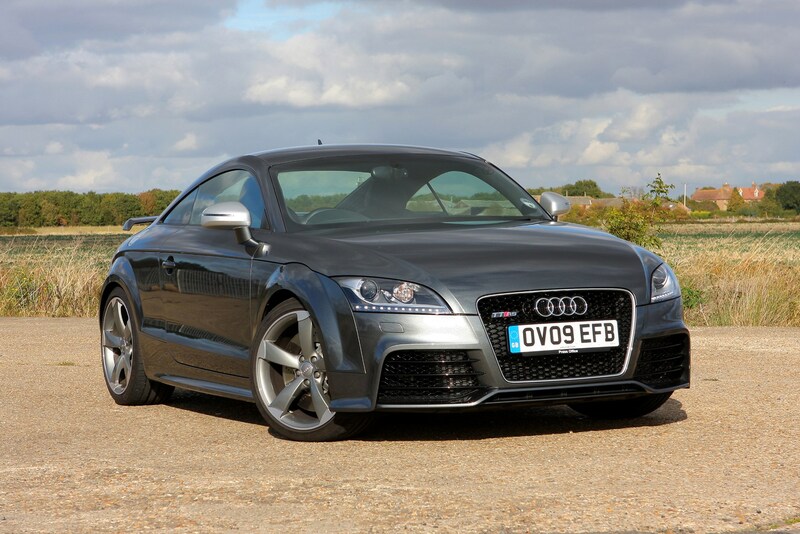 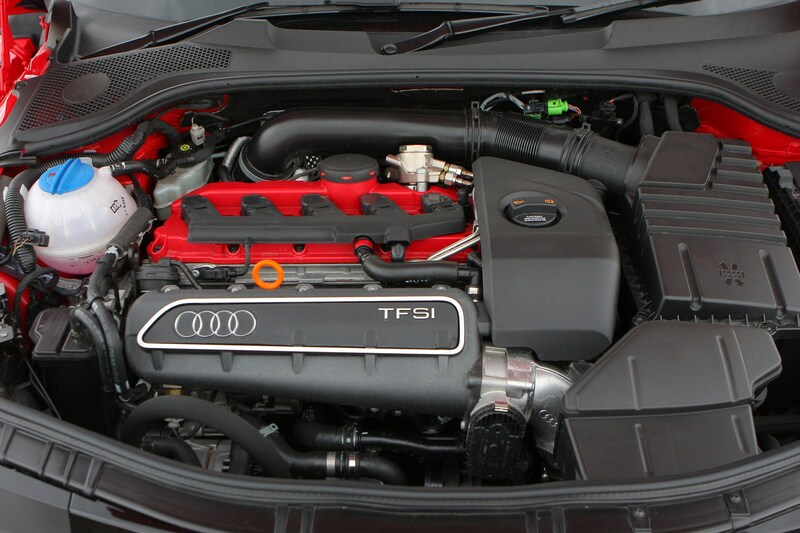 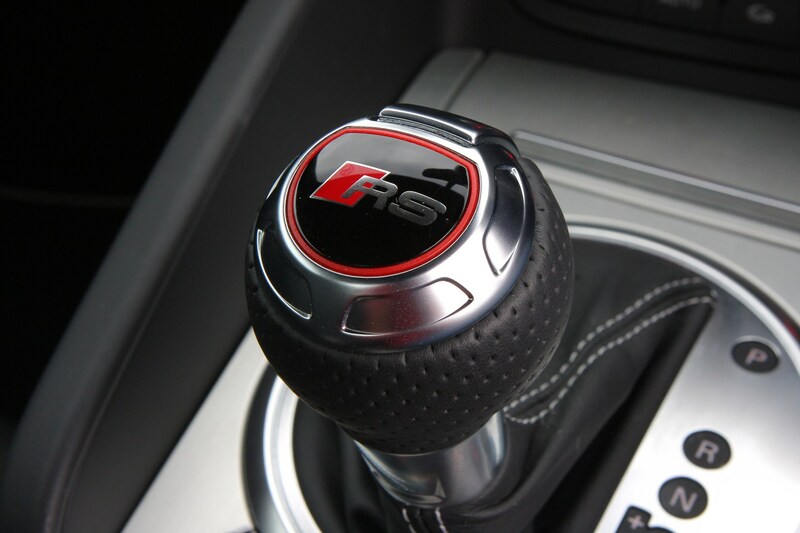 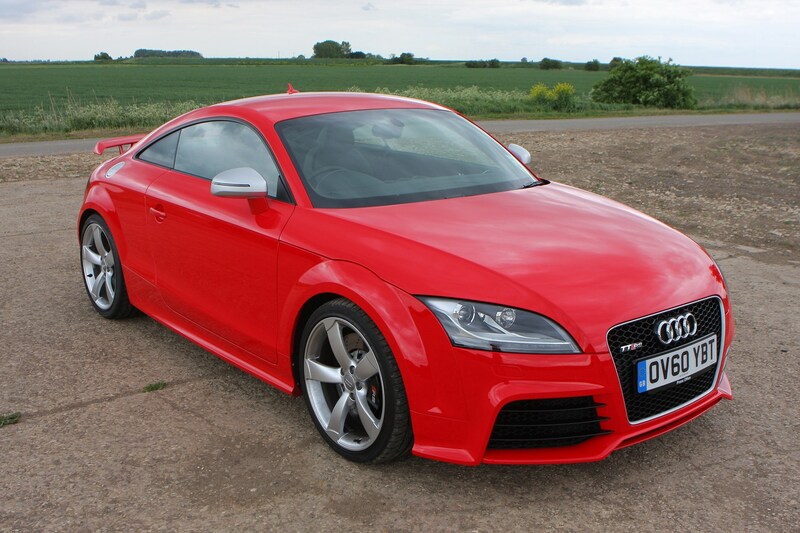 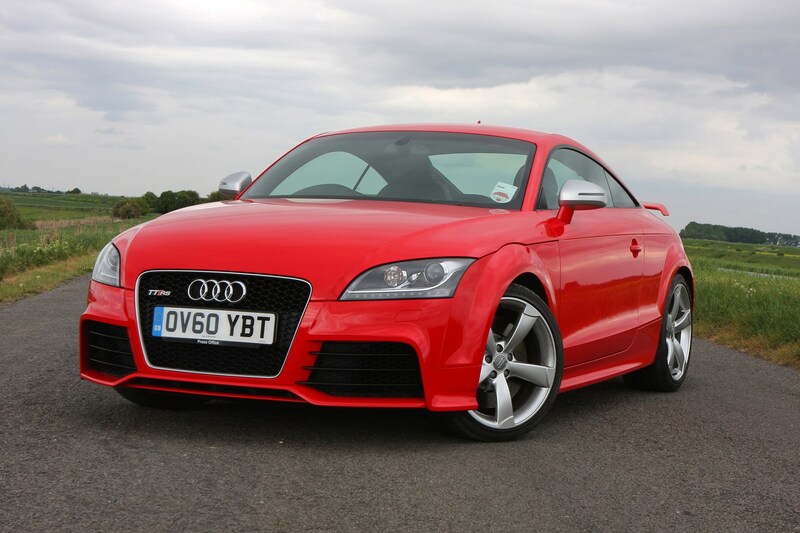 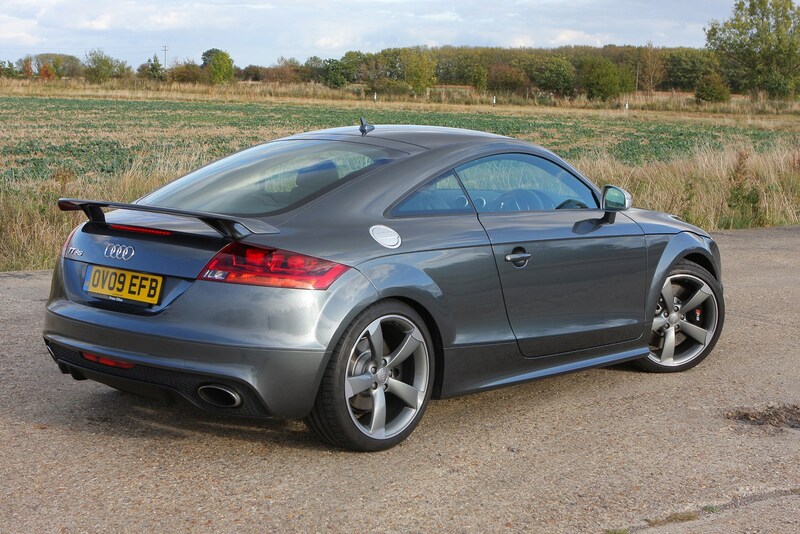 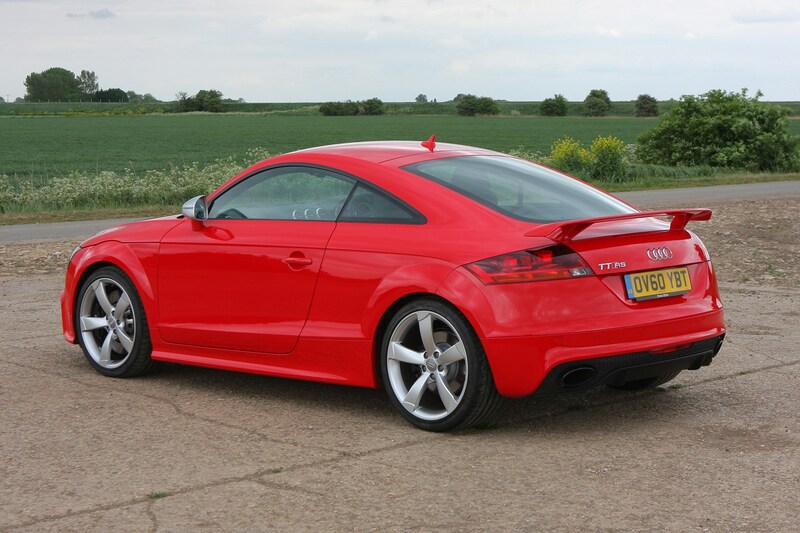 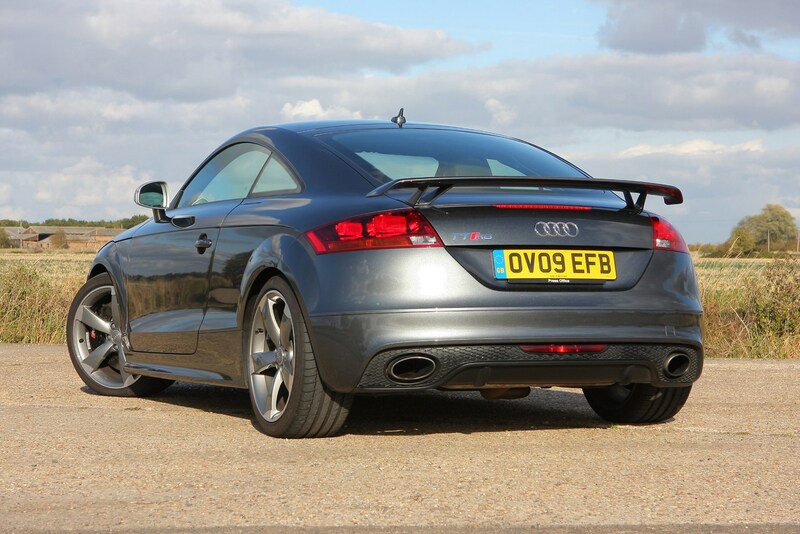 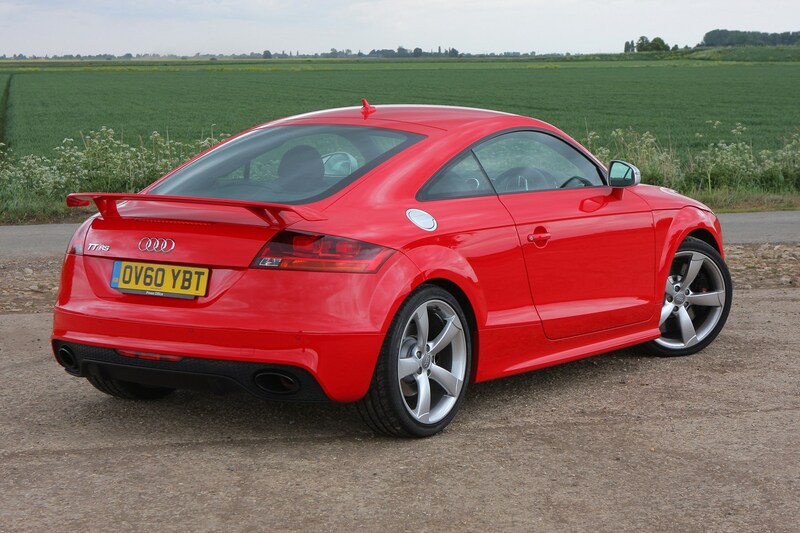 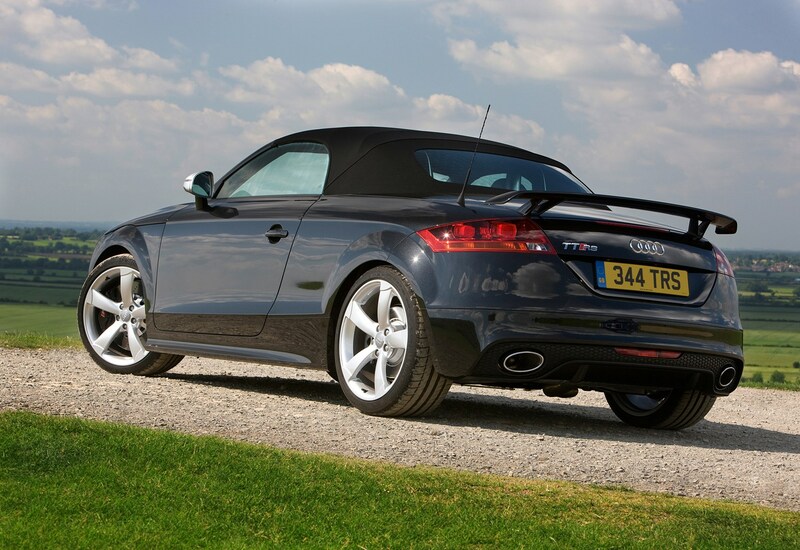 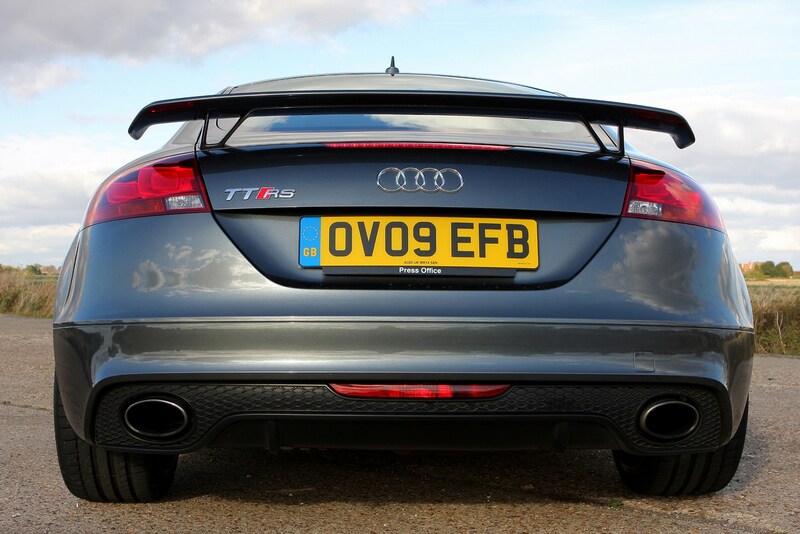 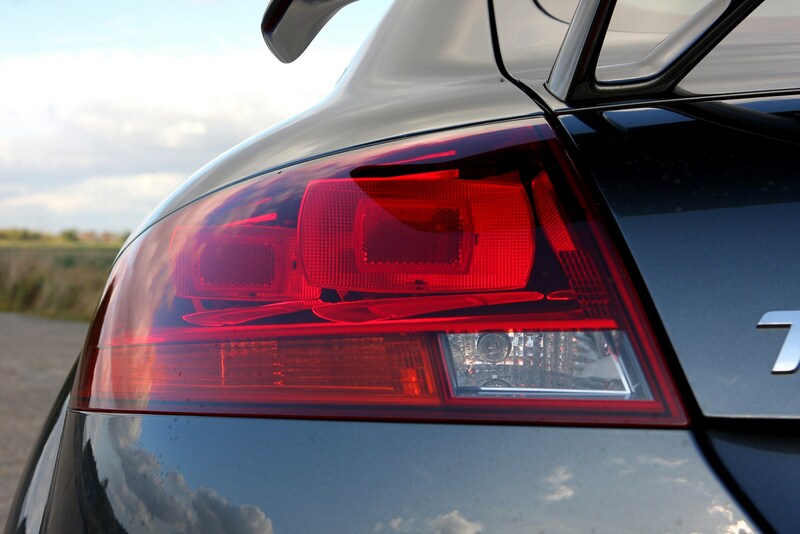 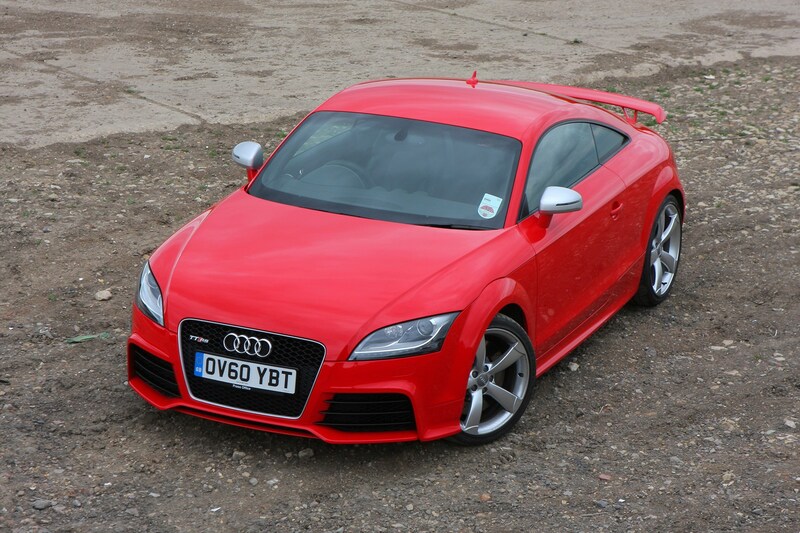 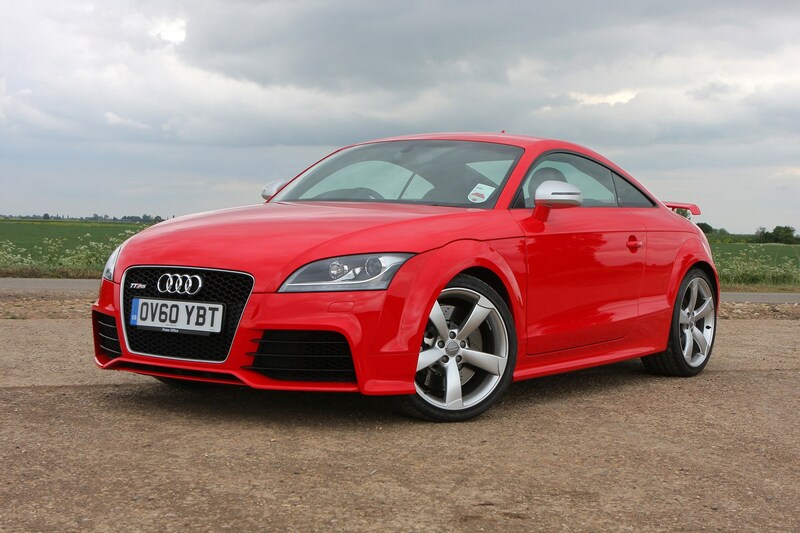 The 2.5 TFSI unit delivers an impressive 340bhp and means the TT RS is more powerful (though not necessarily as fun to drive) than its main rivals including the Porsche Cayman S.
The Audi TT RS is available as either a Coupe or Roadster and comes with a distinctive RS body kit including larger bumpers and a fixed rear spoiler (although this can be swapped for the standard spoiler). 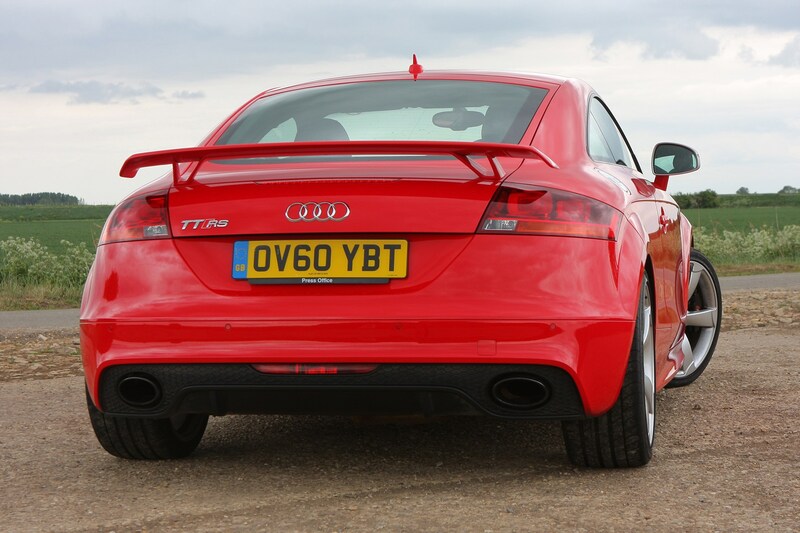 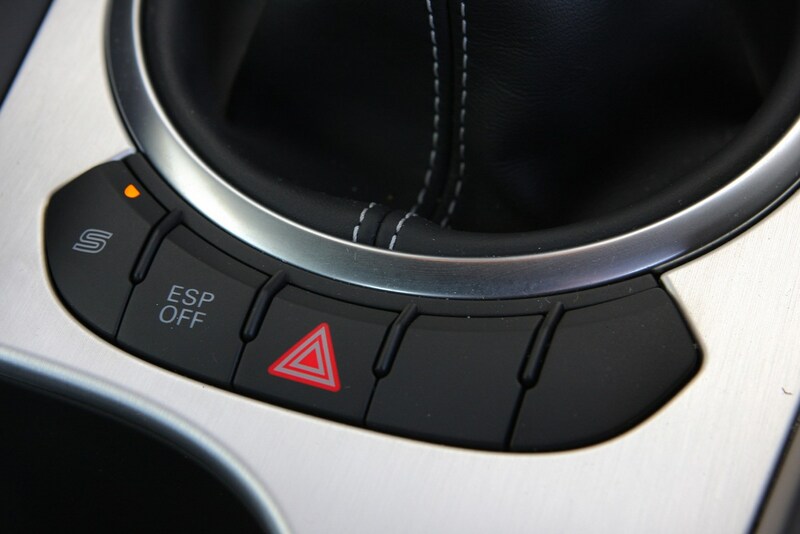 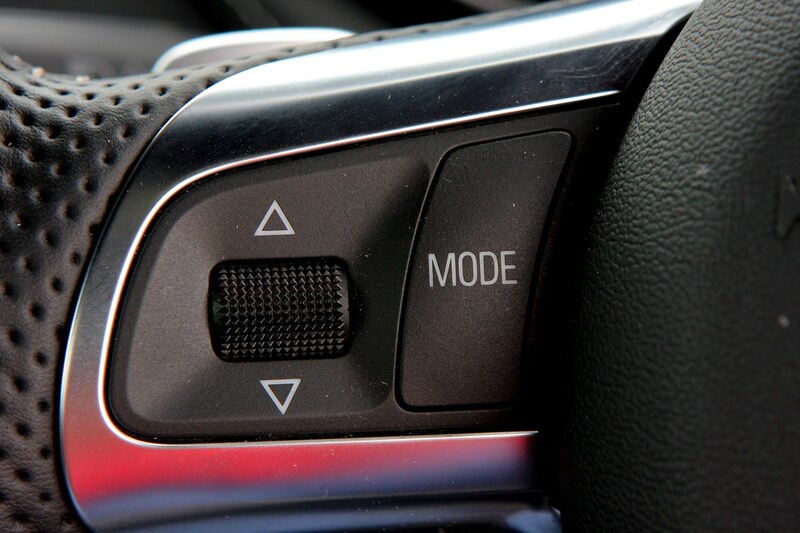 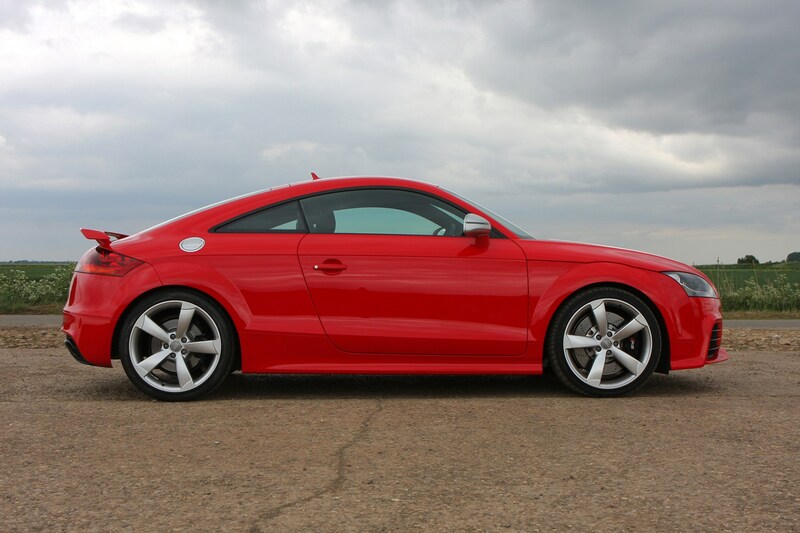 Its thunderous pace is impressive and the quattro four-wheel drive system means there's always excellent grip and traction. 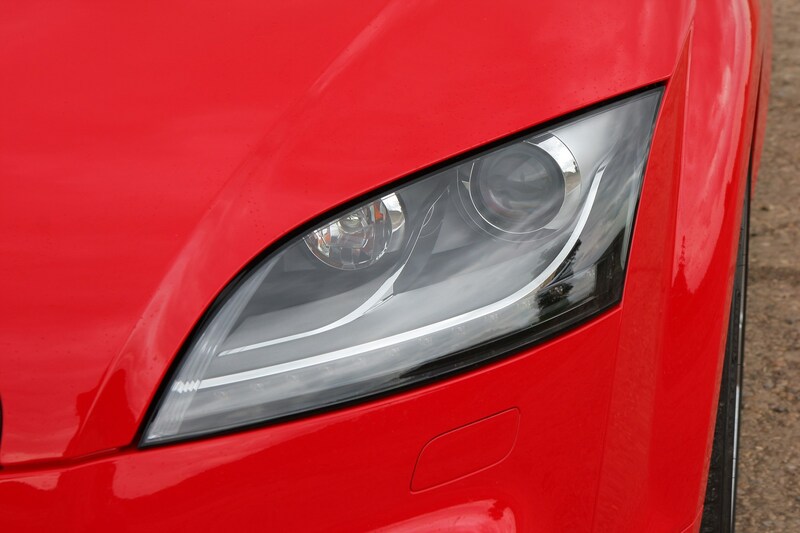 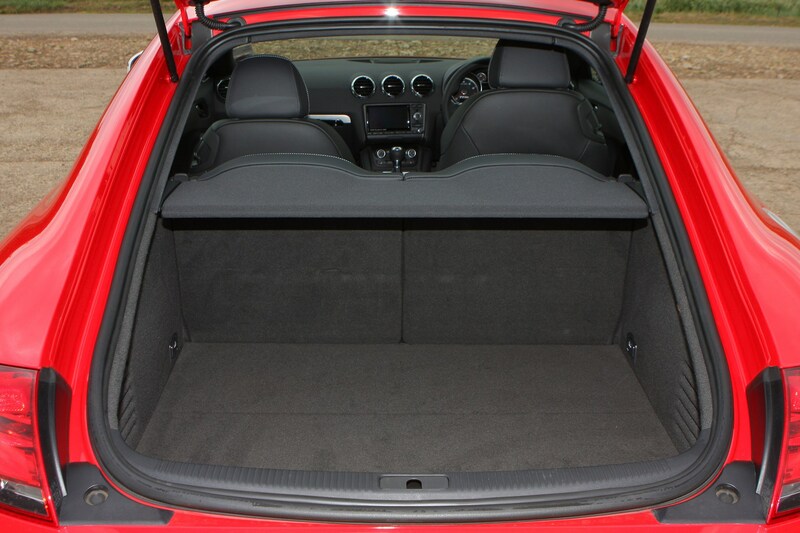 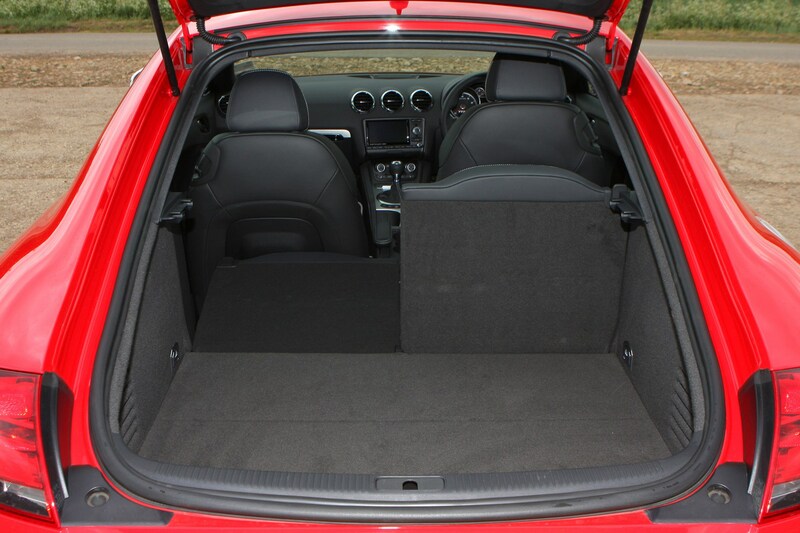 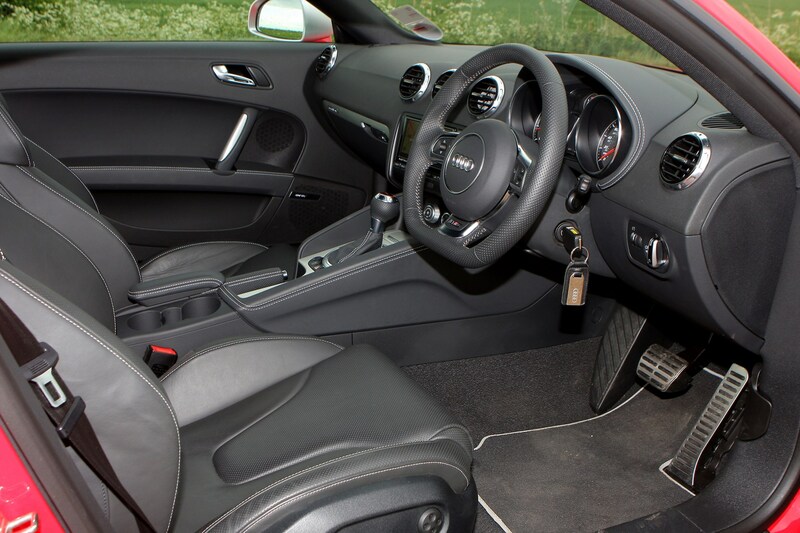 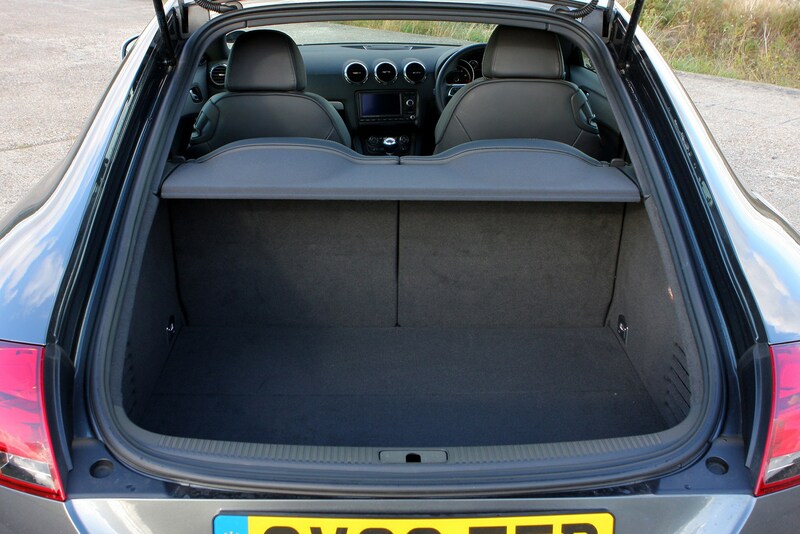 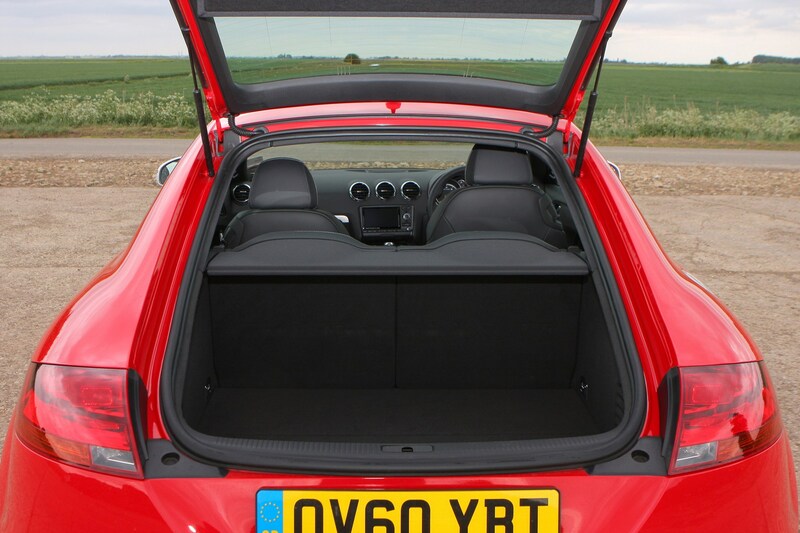 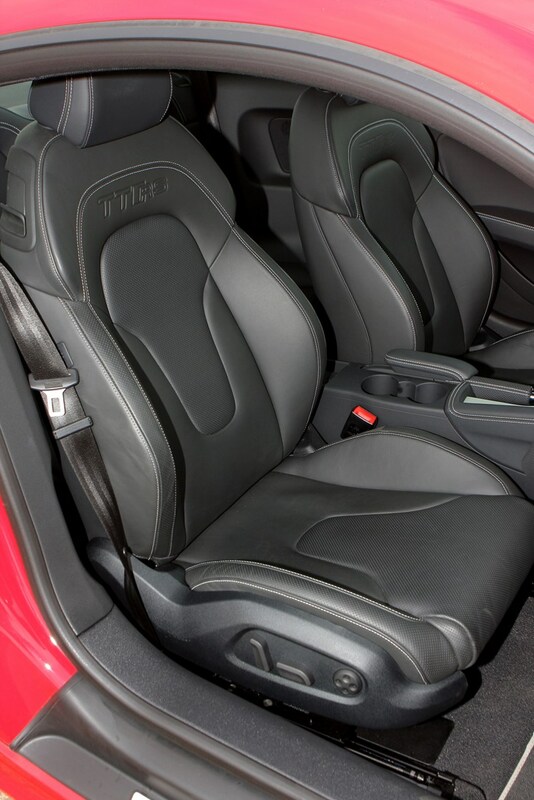 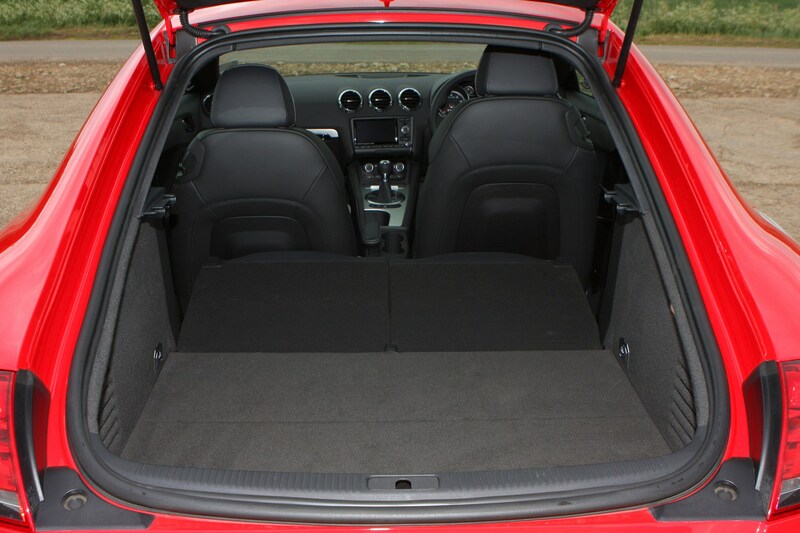 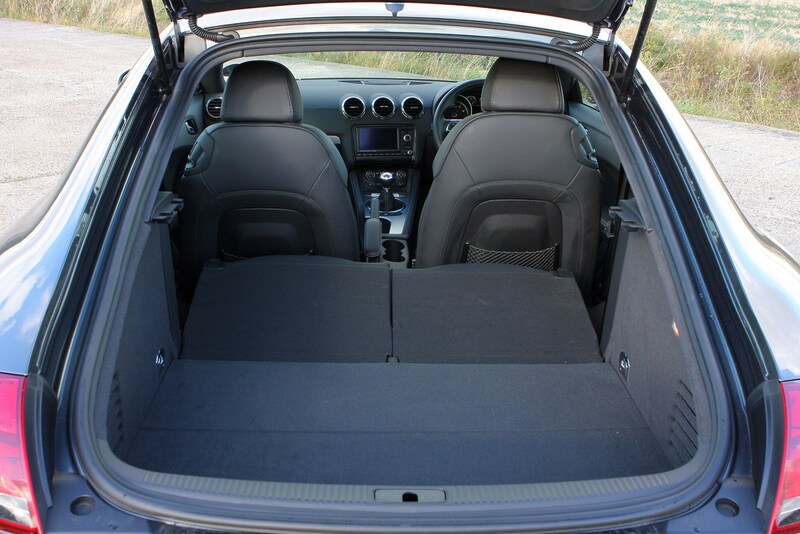 It's not quite as involving to drive as some other two-seater sports cars , but it's not intimidating either, making it easy to live with day to day. 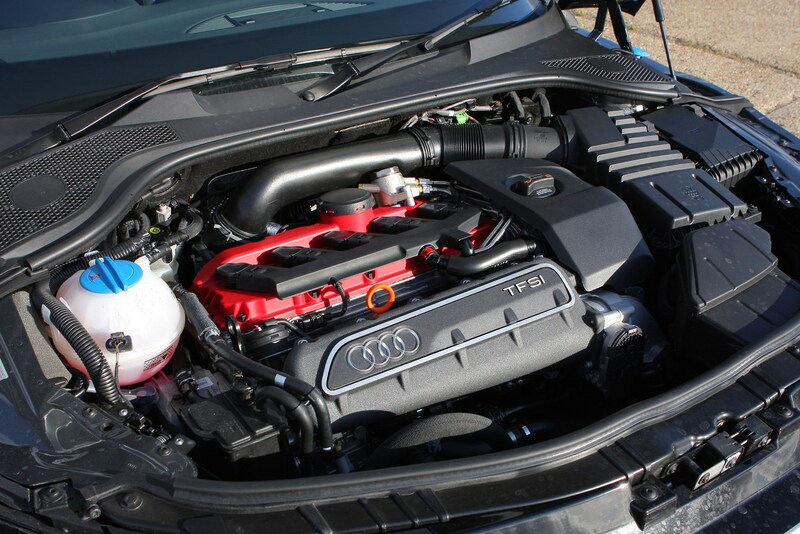 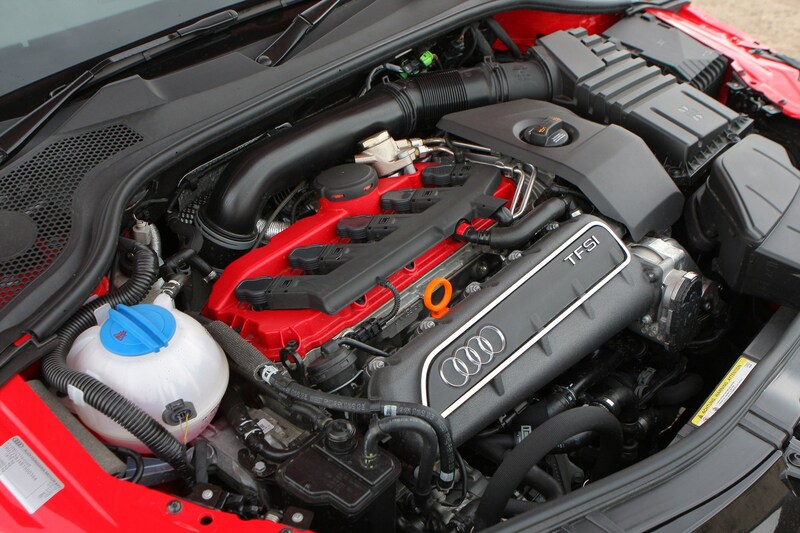 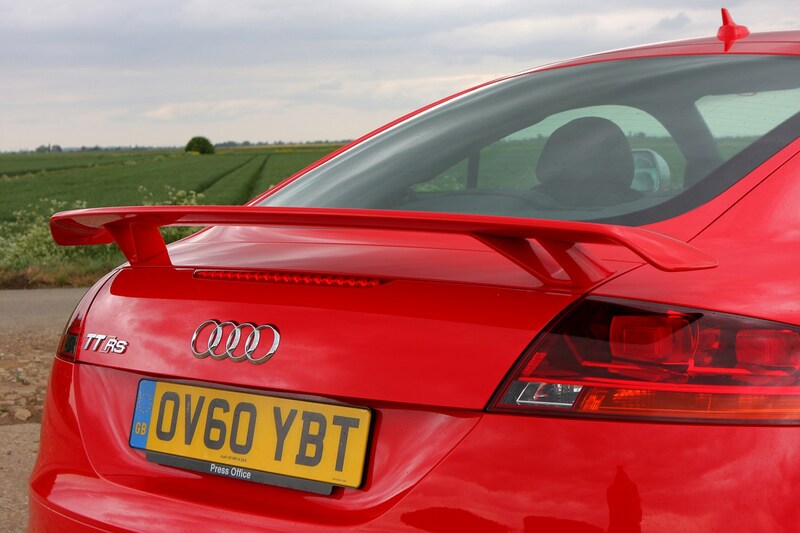 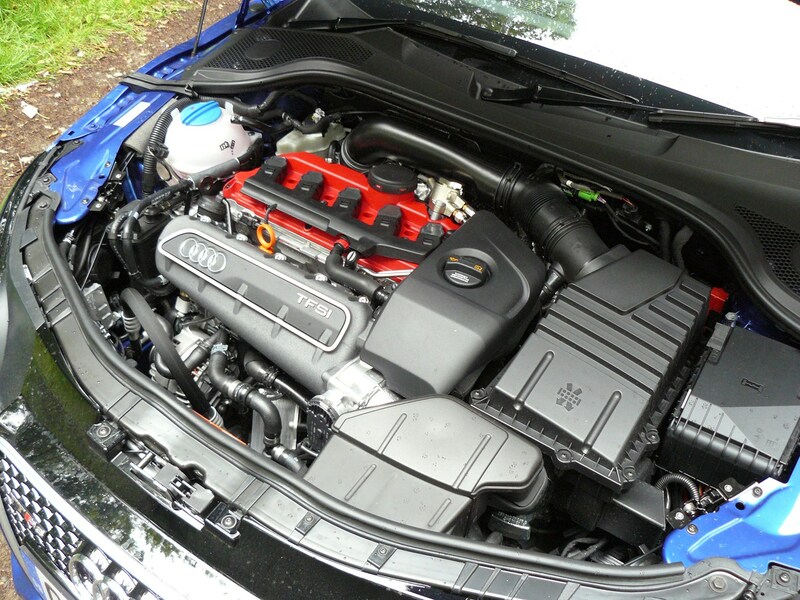 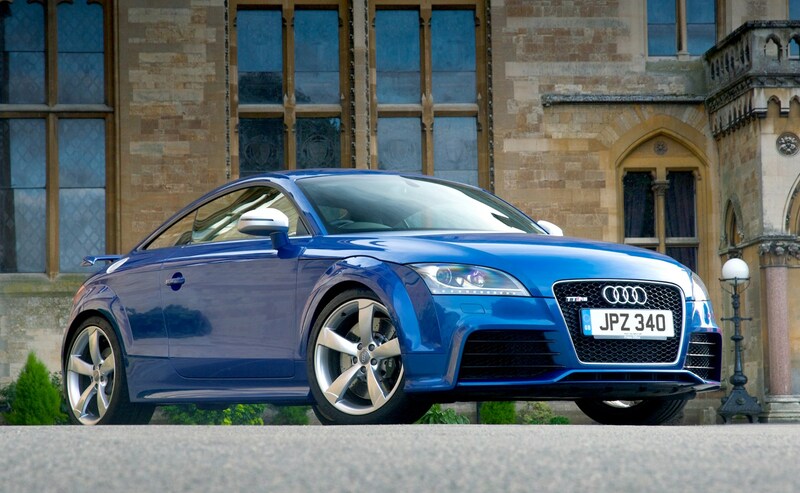 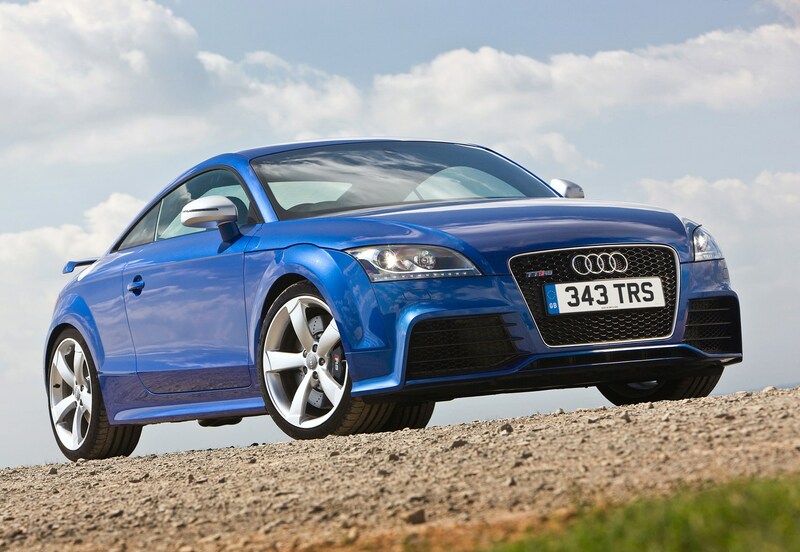 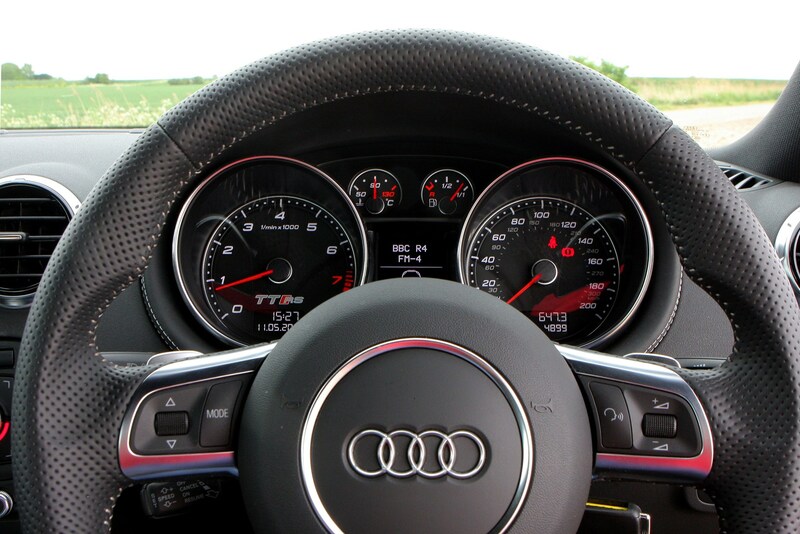 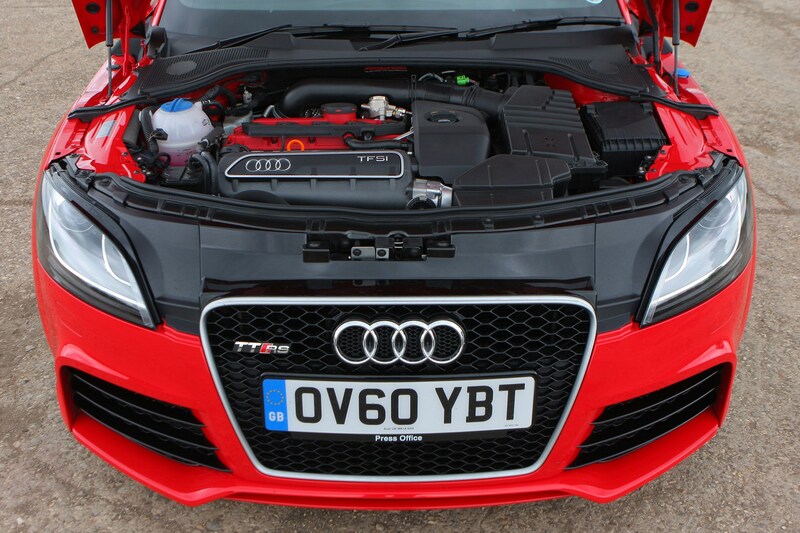 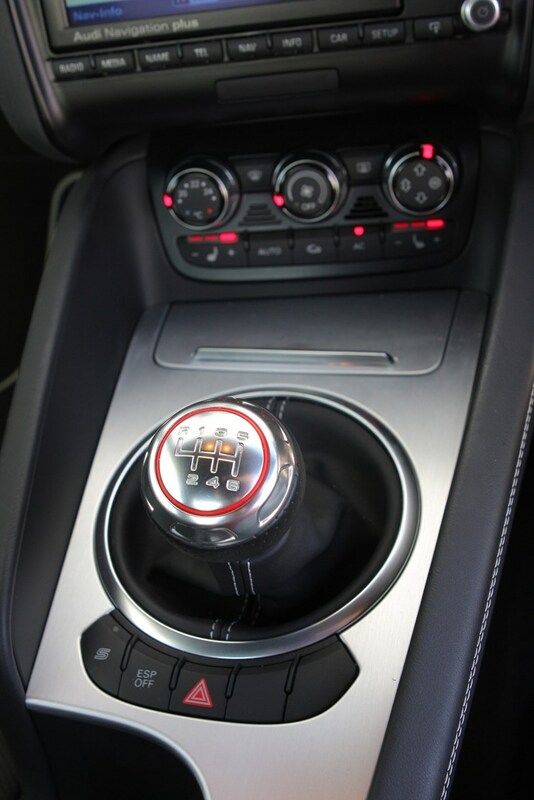 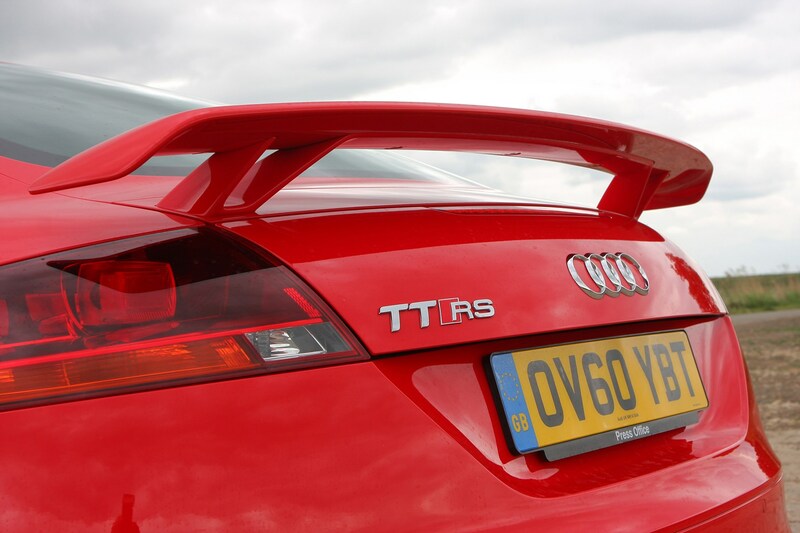 If the ‘regular’ TT RS is too tame for you, Audi offers a ‘plus’ model which gains an extra 20bhp, taking output up to 360bhp.This model also has its speed limiter removed, taking top speed up from 155 to 174mph. 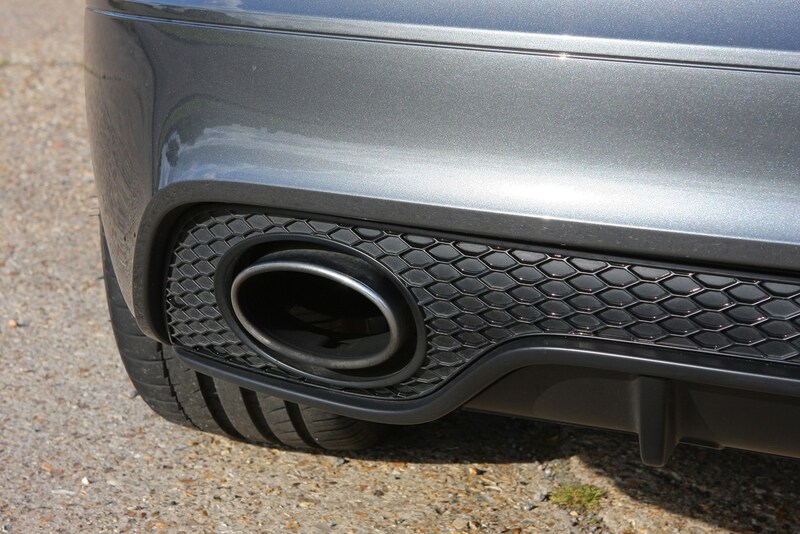 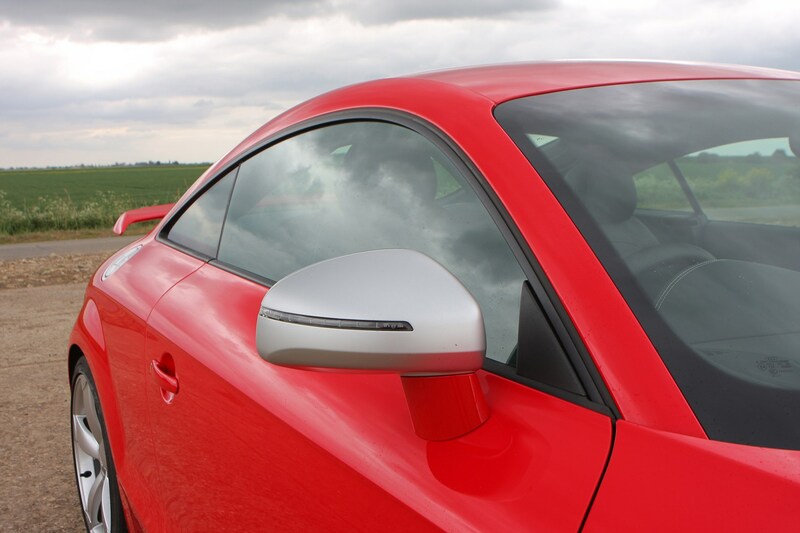 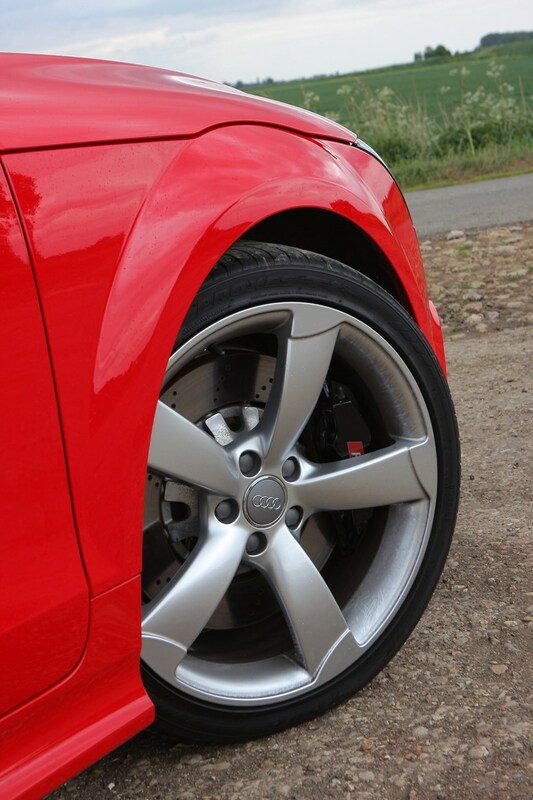 To mark the plus model out, Audi also fits inch larger 19-inch alloy wheels, a sports exhaust to make the most of the characterful five-cylinder bellow and carbon-fibre effect door mirrors. 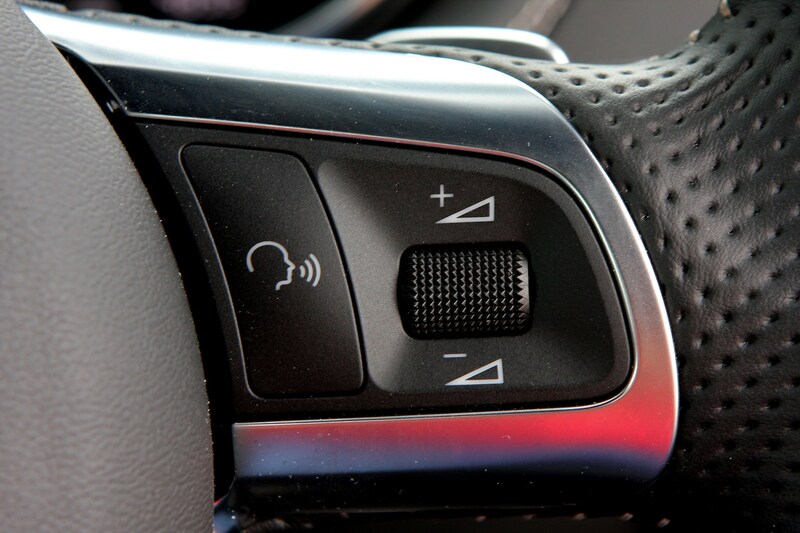 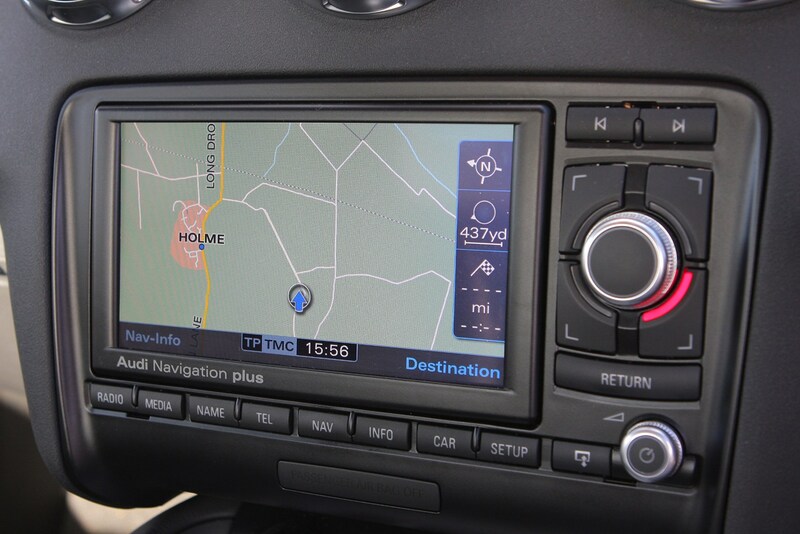 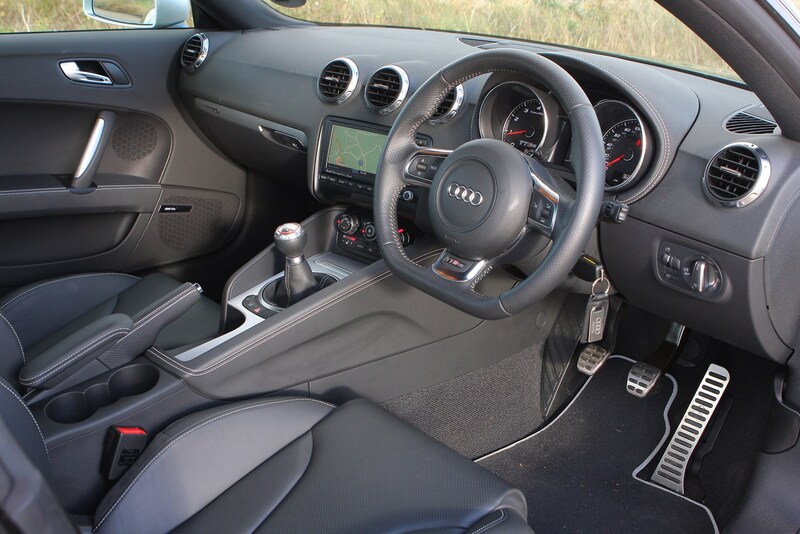 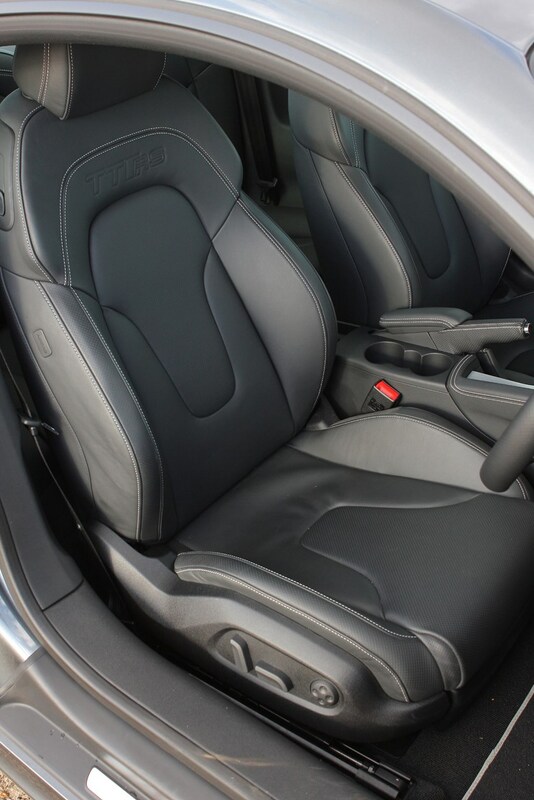 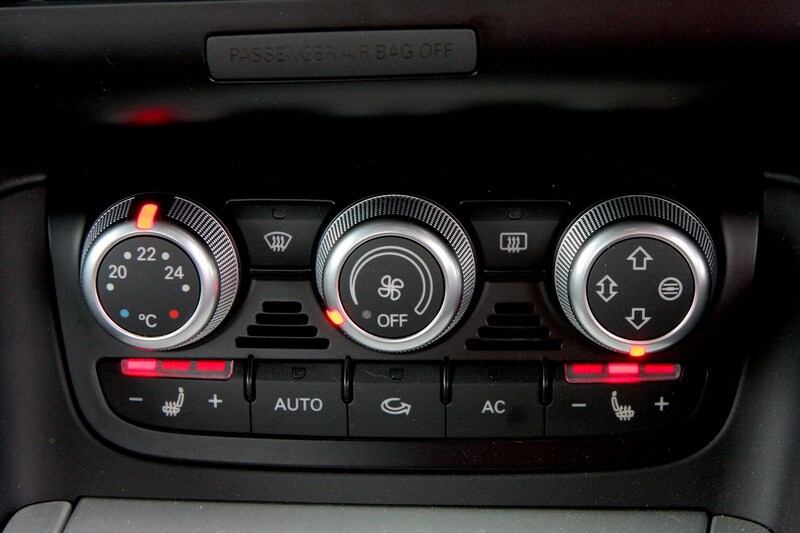 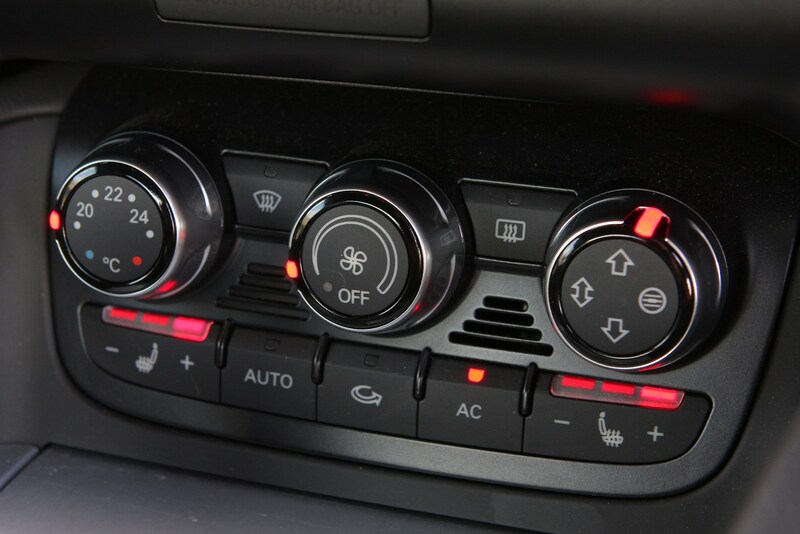 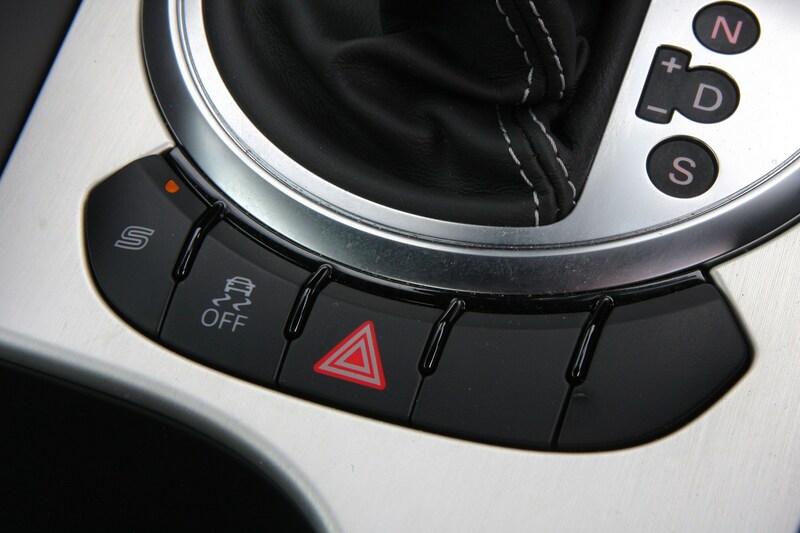 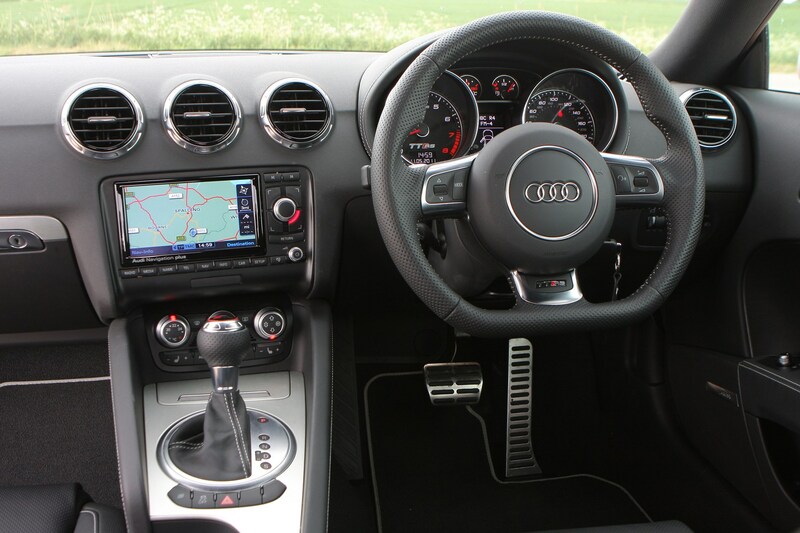 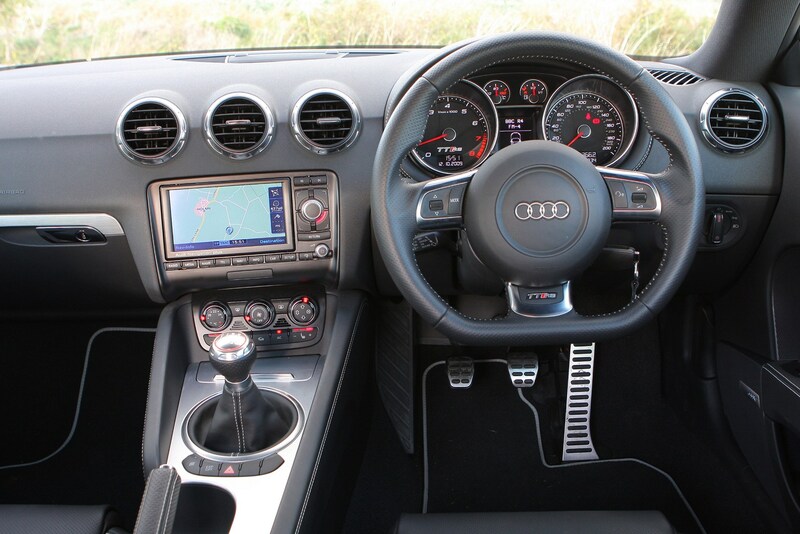 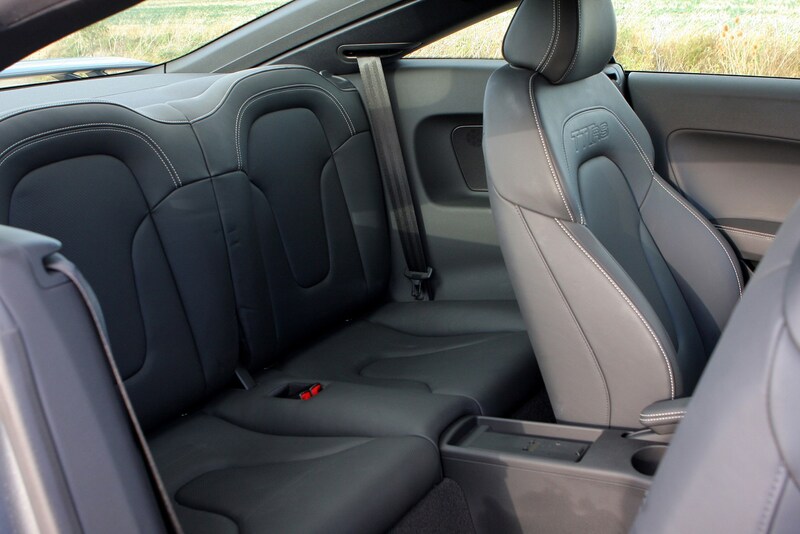 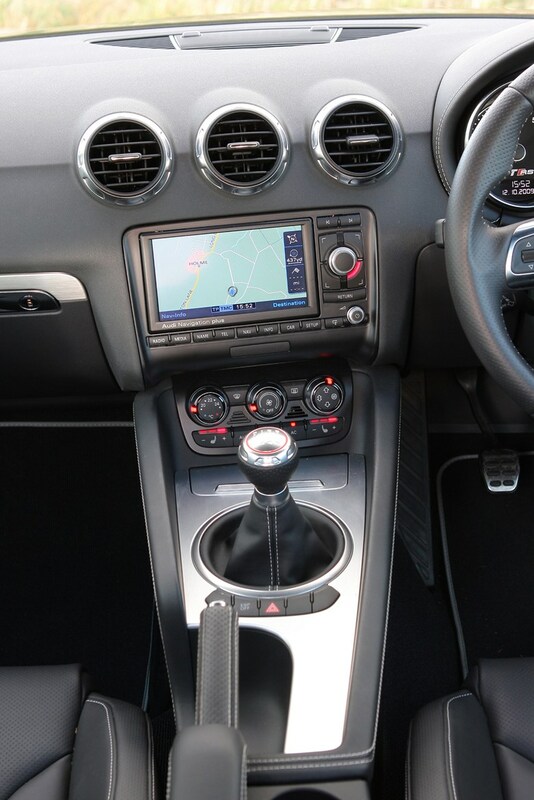 Inside is some extra aluminium trim and ‘plus’ badging as well as satellite navigation and the Audi Music Interface which allows you to plug in music devices such as iPods. 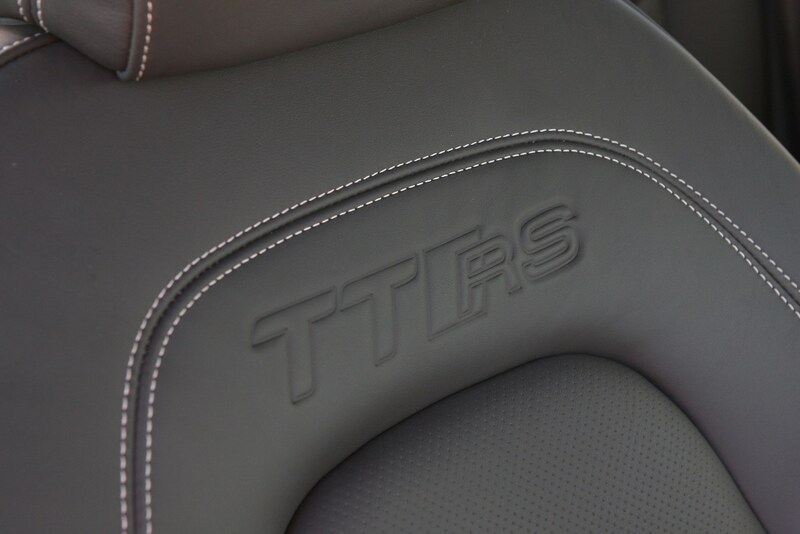 The TT RS faces some stiff competition, most notably from the recently revised Porsche Boxster S and Cayman S models, and the Mercedes-Benz SLK55 AMG. 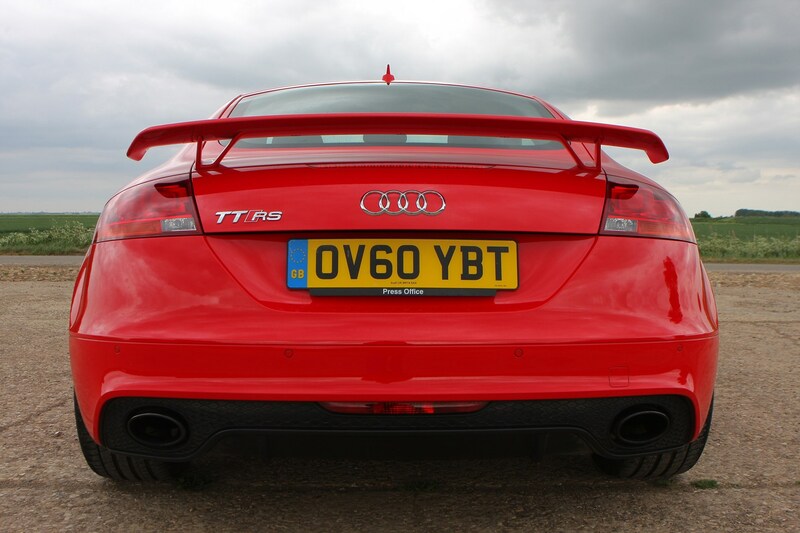 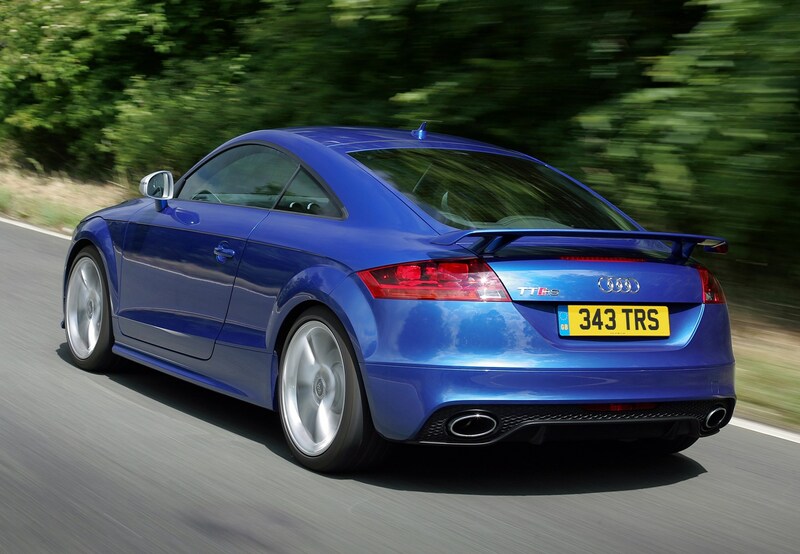 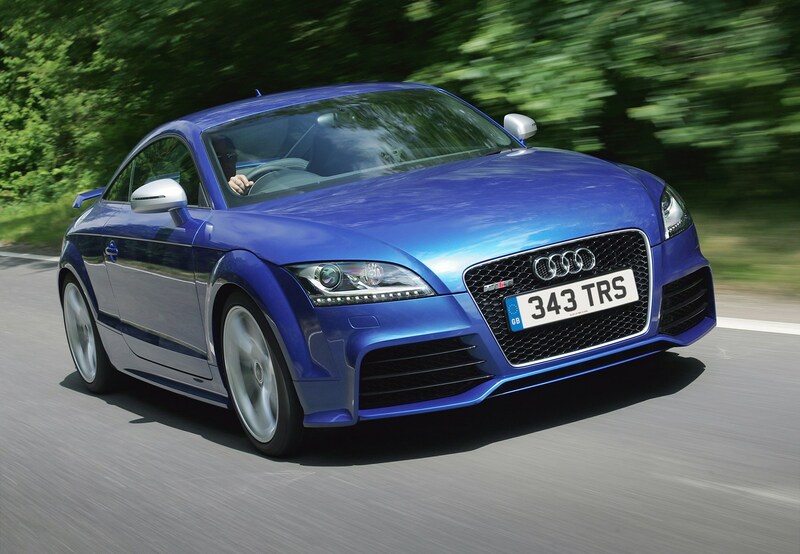 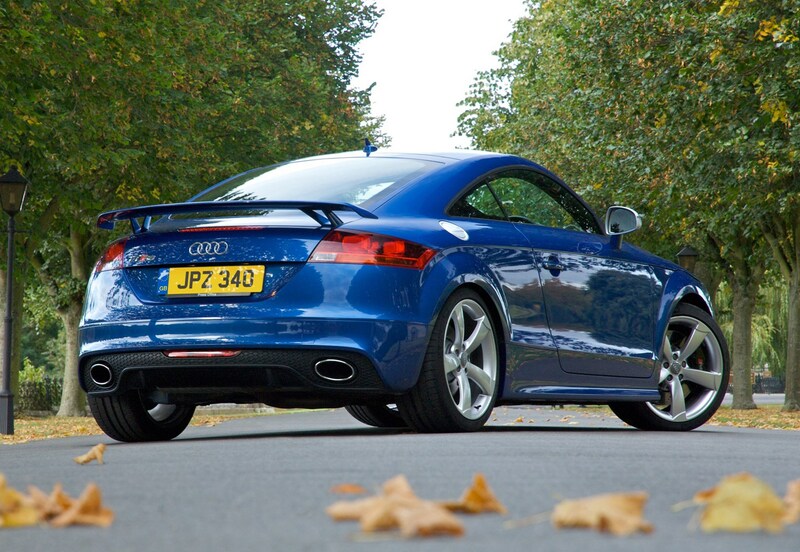 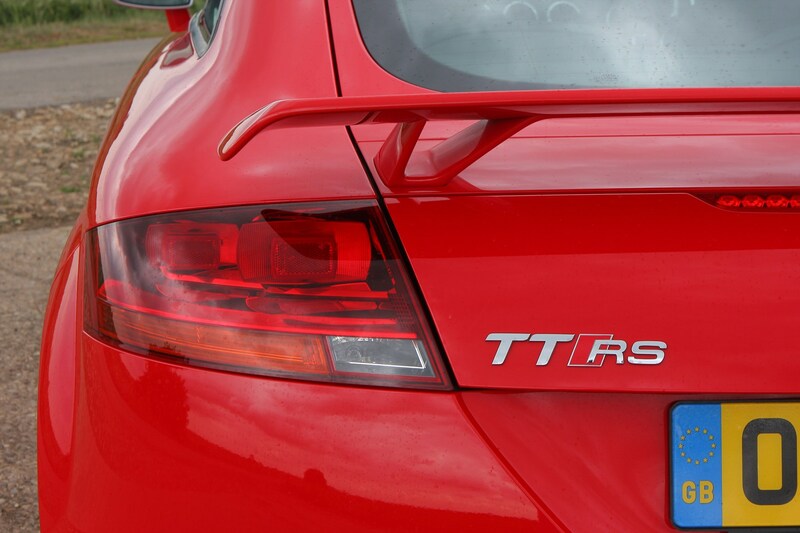 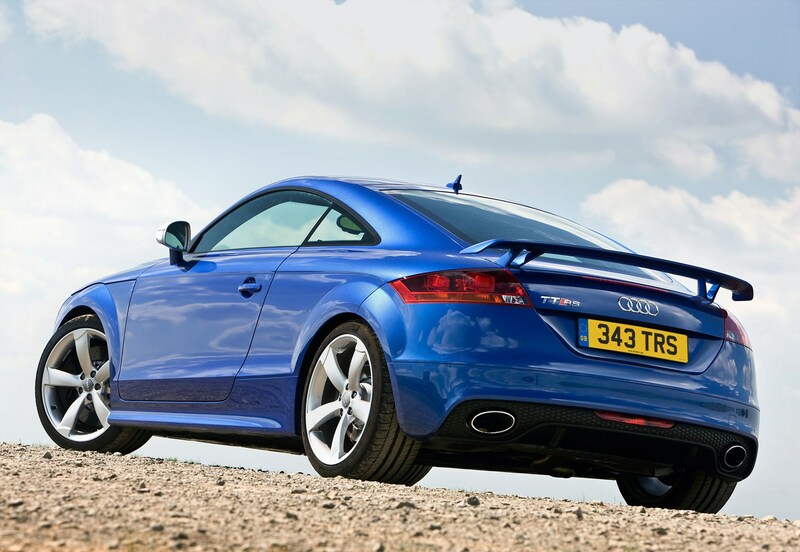 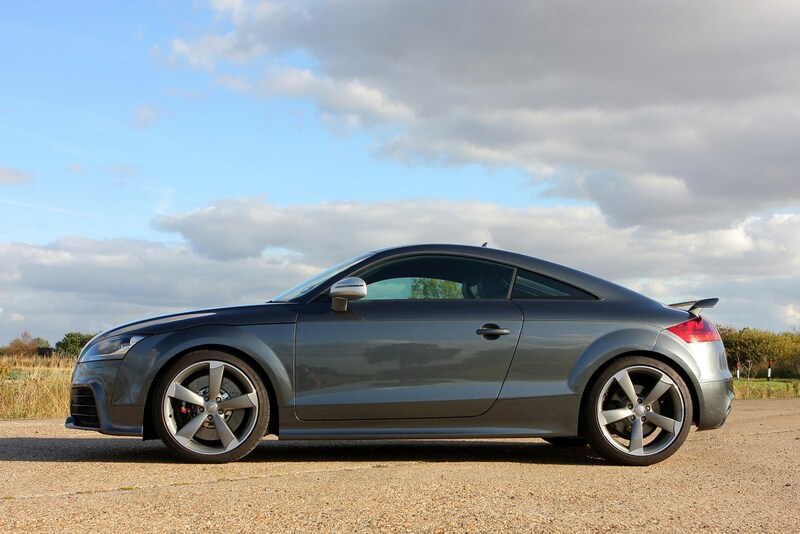 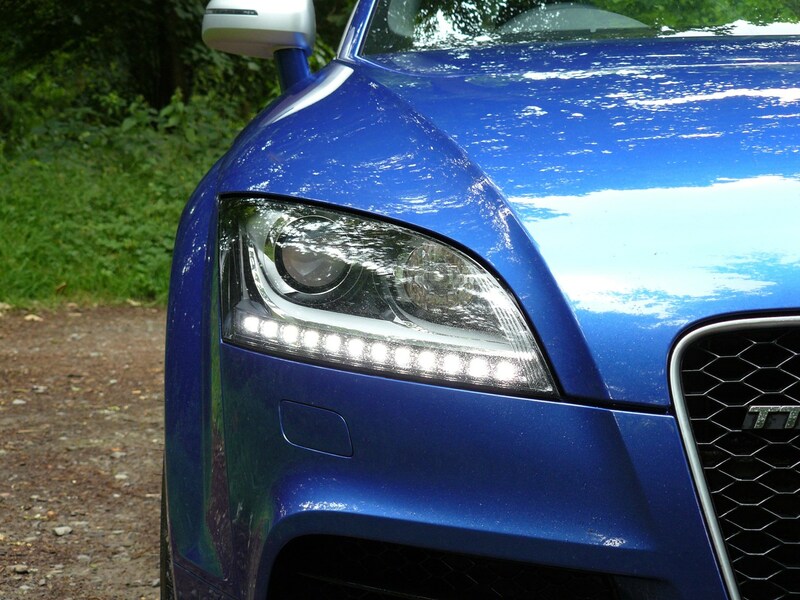 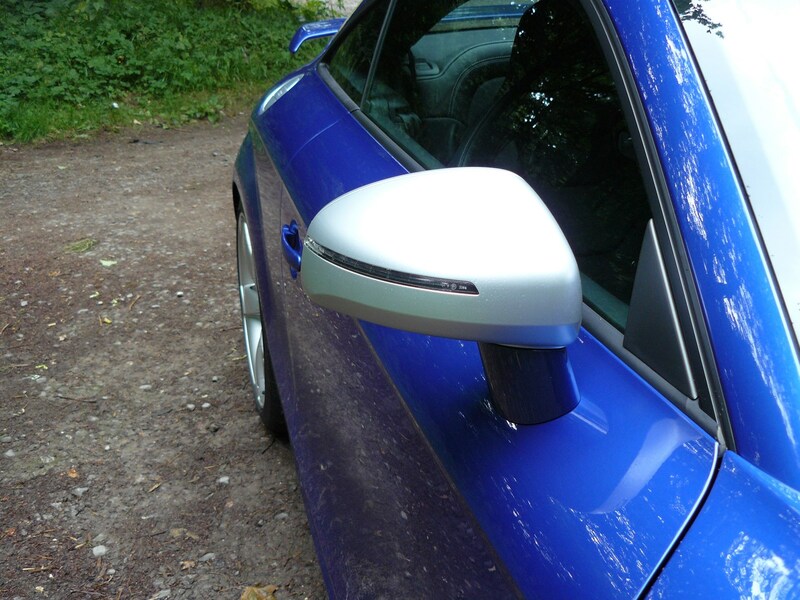 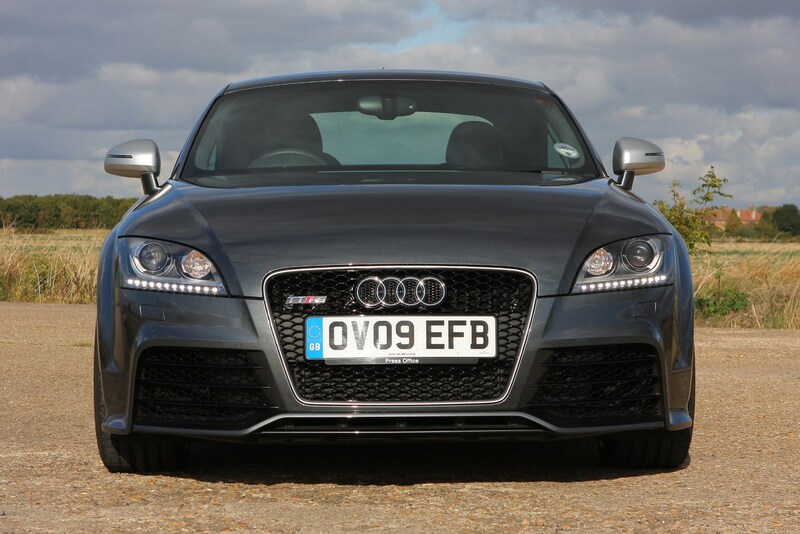 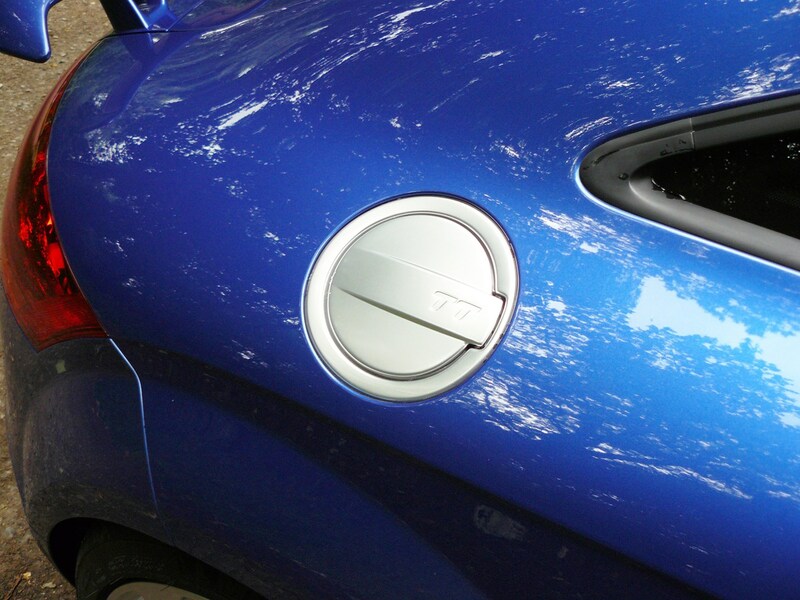 Read on to the full review to see how the TT RS fares.